"The stories on the pages between the covers should be read urgently now and copies of Fighting Tuesdays should be planted in time capsules around the city so that in 100 years' time or in 500 years' time there will be texts which record perfectly what it was like to be a teenager in Dublin early in the 21st century." 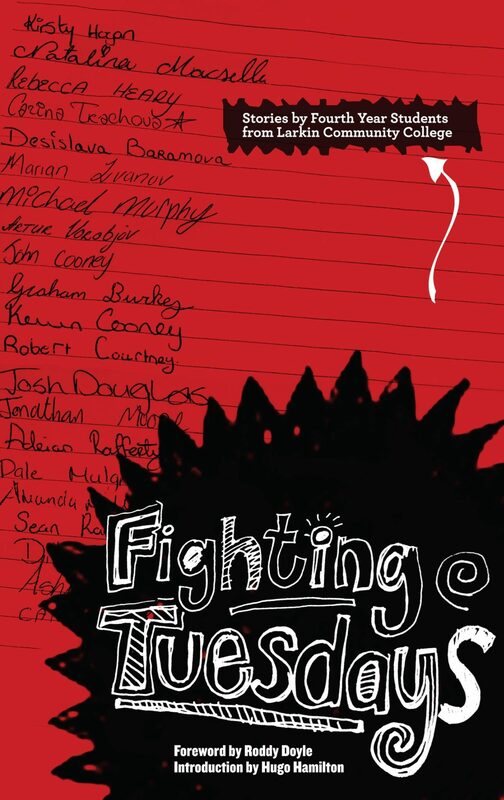 Published by the Stinging Fly Press in association with Fighting Words, Fighting Tuesdays celebrates the creative efforts of twenty-four transition year students from a school right in the heart of Dublin city centre. Fighting Words is a creative writing centre, established by Roddy Doyle and Sean Love. Inspired by 826 Valencia in San Francisco, Fighting Words is located on Behan Square, Russell Street, Dublin 1, very close to Croke Park. "Fighting Tuesdays is not just a powerful read; it's a timely and important book. The Larkin students know what it's like to be young in Dublin today. Their voices are unique and they're speaking for themselves. The 24 stories span a multitude of subjects: friendship, love, football, binge drinking, bullying, drugs. Each of them is different, but there are striking overlaps: outstanding dialogue that fizzes on the page, vivid evocations of place, brilliantly original humour and a fidelity to their characters' world views."